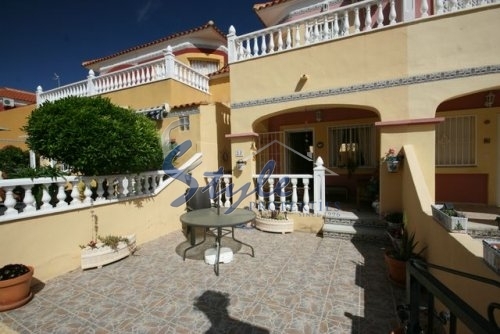 Lovely town house near the sea, in a nice area, on the southern part of the Costa Blanca. 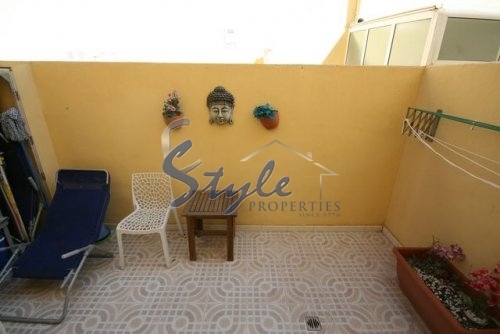 2 bedrooms, 2 bathrooms, spacious living room, kitchen, terrace and solarium. From the terrace and solarium you will enjoy beautiful views of the pool and green areas. The house is fully furnished with all necessary appliances. On the street there is a place for parking. The house is situated in a, quiet, well-kept urbanization with communal pool and seating areas. In walking distance of beaches, shops, supermarkets, restaurants and bars. In a few minutes drive away - one of the largest in the province shopping centers La Zenia Boulevard. Cabo Roig is a great place for permanent living and holidays. Here the mild Mediterranean climate and sunny weather is all year round.